As item 48 came up before Court No.8 in the Supreme Court on Friday, the justices on the bench were unsure whether they were supposed to hear the matter. Deleted and Shifted from court No.2, the matter, and its sudden listing, initially seemed to confound Justice N.V. Ramana, who was sitting with Justice S.Abdul Nazeer. “Is it before us or not? You tell us clearly”, Justice Ramana was heard telling the court staff, after he started hearing the counsel on the matter. He then said there seemed to be a technical problem, and confusion, so they would pass it over, to be heard at the end of the board. Justices J.Chelameswar and S.Abdul Nazeer, on October 30, heard a partition matter, Shiv Dutt Salwan vs Ramesh Dutt Salwan (since deceased) through LR & Others. Senior counsel, Gopal Subramanium argued for the petitioners and senior advocate, R.Venkataramani, appeared for the respondents. This is a Special Leave Petition against the Delhi High Court judgment, which was decided by Justice V.K.Shali, who had directed an open, transparent and a fair share of the suit property by inviting bids. He had appointed senior advocate, Meenakshi Arora as the Court Commissioner, to be assisted by advocate, Natasha, for the purpose. The original partition suit dates back to July 15, 1985. 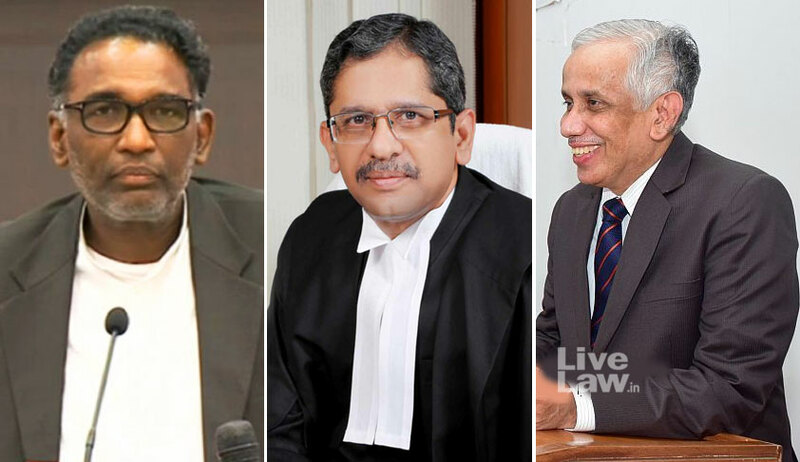 On Friday, Justices Chelameswar and Sanjay Kishan Kaul sat at Court No.2, but the matter was deleted before them, and shifted to Court No.8, where Justices N.V.Ramana and S.Abdul Nazeer, were to hear the matter. On Friday, when the bench at Court No.8 heard it at the end of the board, after the registry sorted out the initial confusion, both Gopal Subramanium and Venkataramani, told the bench that they had made headway in mediation, and sought some more time. Subramanium complimented the bench, and said by training as lawyers, they would be able to sort this matter, and render justice to all the parties to the dispute. The bench clarified that the interim stay on the auction of the property, as directed by the Delhi high court, would continue, till the next date of hearing, which is likely after the Christmas vacation.